Where does the word Schnitzel come from? The word Schnitzel is believed to come from the word der Schnitz which means a slice or a cut, similarly Schneider means a tailor. 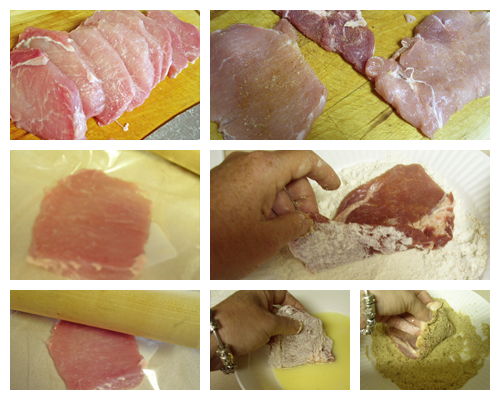 The Schnitzel, by definition, is made with veal. 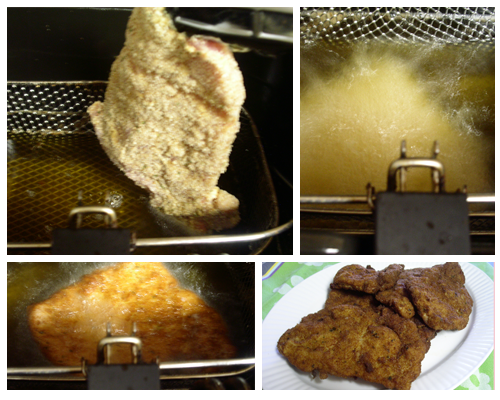 However, today many German restaurants will offer a “Schnitzel” using different meats while still following the preparation techniques of the Wiener Schnitzel (dipped in flour, egg, and bread crumbs, and fried in butter or oil to a golden brown). You may see this called “Wiener Art,” meaning it was prepared like a Wiener Schnitzel, but the meat is not veal. To make the Rahm Sauce. Cut up the mushrooms. Add 1/2 stick of butter to the hot skillet and add the mushrooms. When the mushrooms are done add 1/2 cup of leftover wine of your choice, no need to open a new bottle ;). Wait till the sauce is reduced. Add the heavy cream, black pepper and chopped parsley. Serve the sauce over the Schnitzel. And add a slice of lemon. Squeeze that over the Schnitzel. To make the Rahm Sauce. Cut up the mushrooms. 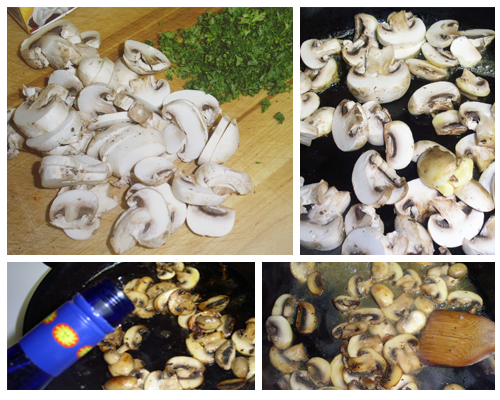 Add ½ stick of butter to the hot skillet and add the mushrooms. 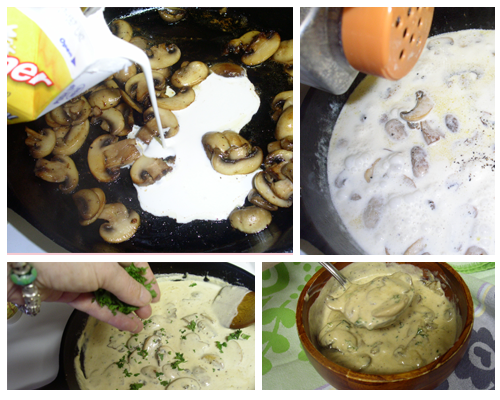 When the mushrooms are done add ½ cup of leftover wine of your choice, no need to open a new bottle ;). Wait till the sauce is reduced.